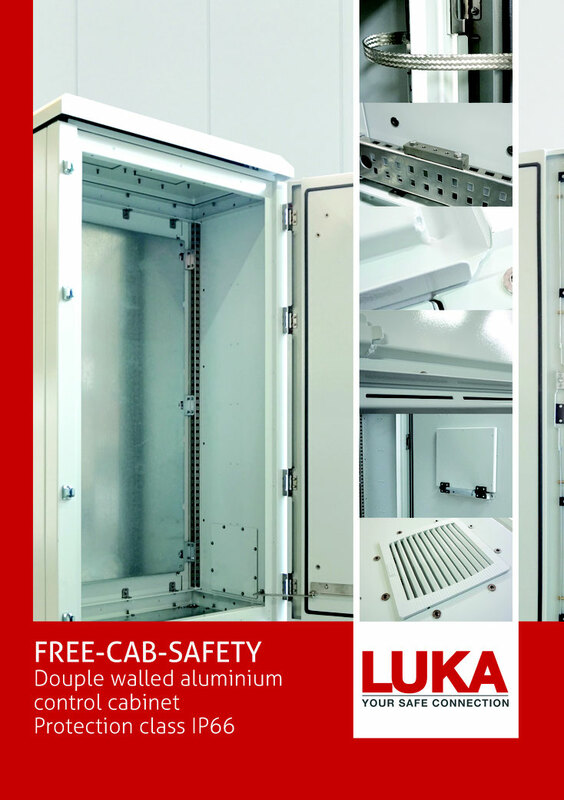 The FREE-CAB-SAFETY is the result of many years of development and was specially designed for outdoor use. 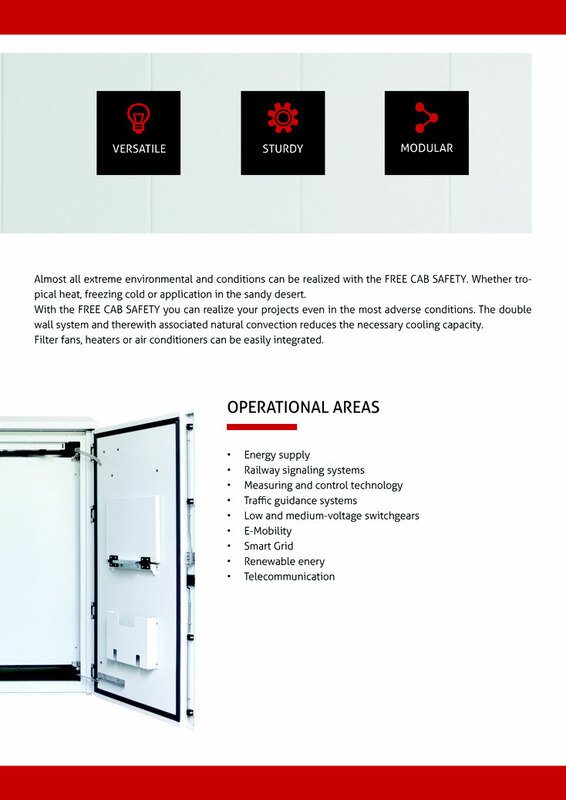 The enclosure is perfectly suited for rough requirements and extreme environmental conditions. A high degree of protection, the very robust construction and an easy-to-assemble structure offers you maximum safety. Security plays an enormously important role, especially in control cabinet construction. Therefore, rely on our outdoor solutions and always receive the best quality. Protect your investments in the long term. True to the motto "SAFETY FIRST! A sophisticated profile technology and the double-walled construction guarantee enormous resistance. The aluminium housing achieves an impact strength of IK10. The housing is made of the seawater resistant material Almg3. The powder coating is carried out according to corrosion protection class C3 DIN EN ISO 12944. The surface of the material is therefore additionally protected and ideally suited for outdoor use. 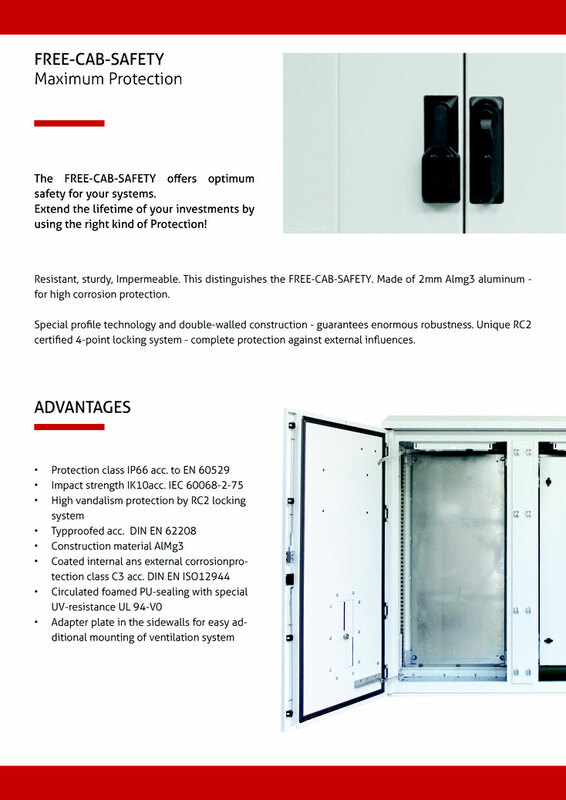 The aluminium cabin has an RC2-tested 4-point locking system and thus protects against unauthorised access. In addition, the design of the cabin ensures IP66 protection. Additional protection against condensation water is provided by the use of pressure compensation membranes. Take advantage from our wide range of sizes. You can choose from over 30 standard dimensions. 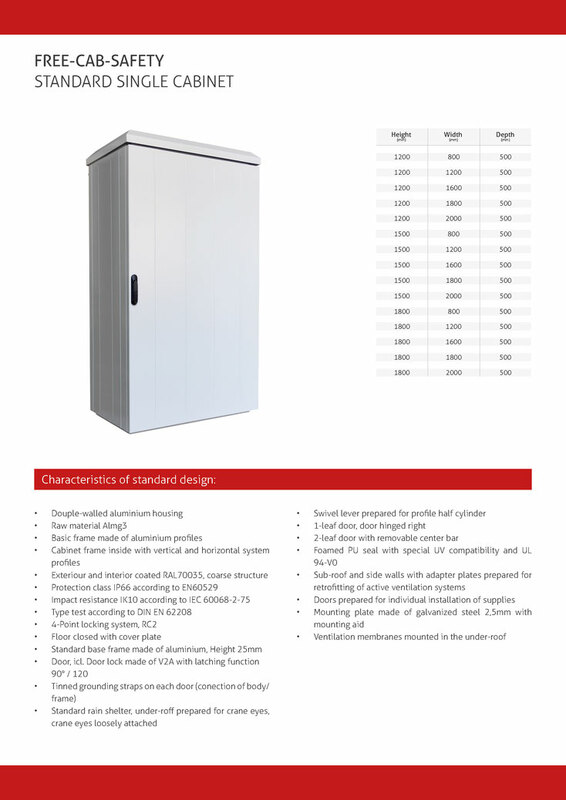 Choose the best solution for you from our wide module catalogue and design your desired housing individually according to your needs. 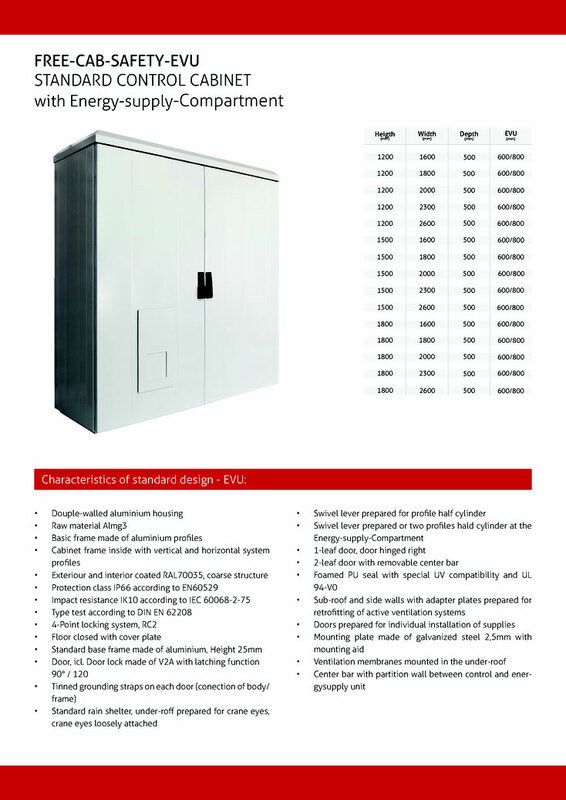 Due to the great flexibility, you can easily adapt the control cabinets to your requirements. With the help of the functional system profile, which can be extended at any time, you save time when configuring your components. 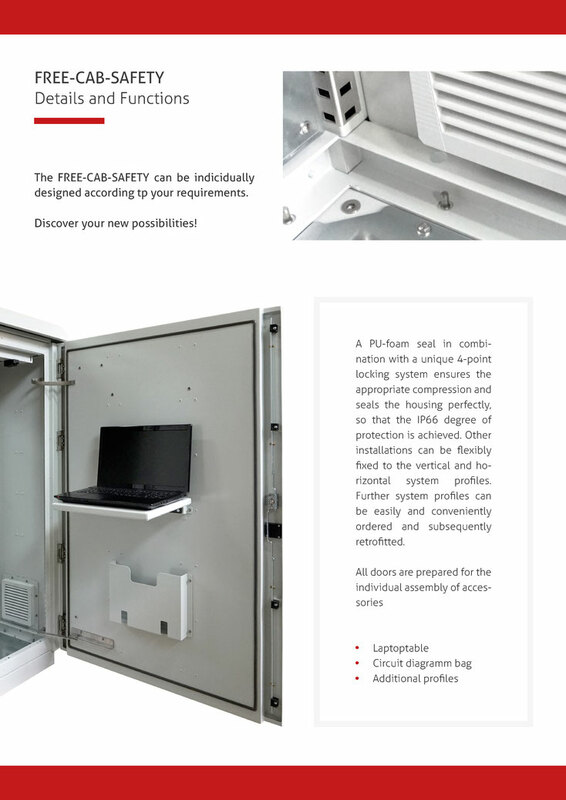 The FREE-CAB-SAFETY has a system profile that allows you to easily retrofit assemblies and accessories. Quick and practical to use. A subsequent conversion of a case is never nice, associated with additional costs and above all very time-consuming. Do you need one or more additional filter fans after delivery? With our system this is possible. The housing is already prefabricated for installation. 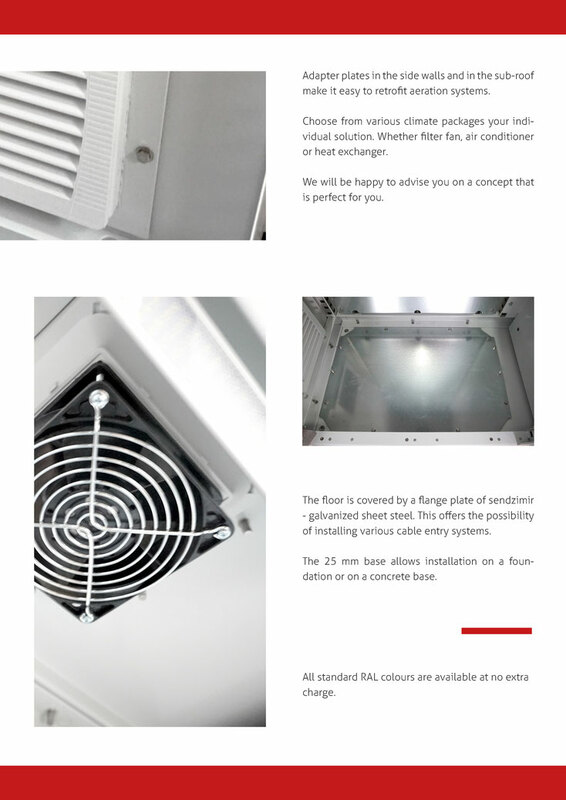 Thus you can install your air conditioning also afterwards comfortably. Combine multiple enclosures using a connecting frame. Adapt the housings to your production and thus optimize your own production process. Improve the logistical handling by sending your switch cabinets dismantled. Choose the right colour for your control cabinet. All RAL colours are available without surcharge. All aluminium cabinets are manufactured analogously according to the concept and then approved by the quality assurance department. This guarantees you consistent quality at all times. A standardized construction of the FREE-CAB-SAFETY as well as a smooth and closed process support this. Trust our certified quality management according to ISO 9001 as well as our documentation (type certificate DIN 62208). You will benefit from more than 25 years of experience and know-how and receive the best service. We support you in your projects. We are at your disposal from the quotation stage through to after-sales service. Fast and uncomplicated handling - Made in Germany.